This is the third in a series of reports tracking women winning major party nominations to the House of Representatives in 2018. The first two reports featured Nebraska and Idaho. Continuing a pattern seen in several other states that have conducted primaries this year, one big story coming out of Virginia last week centered around the large number of women nominated to the U.S. House – particularly by the Democratic Party. All told, women candidates were nominated in six congressional districts by Democrats – realtor Vangie Williams in the 1st CD, Navy veteran and small business owner Elaine Luria in the 2nd, journalist Leslie Cockburn in the 5th, mental health worker Jennifer Lewis in the 6th, former CIA officer Abigail Spanberger in the 7th, and state Senator Jennifer Wexton in the 10th. [Note: Cockburn was selected at a district convention in May]. Wexton will square off against two-term GOP U.S. Representative Barbara Comstock to bring the total number of major party women nominees for the office to seven. That breaks the state record of five nominees set last cycle. 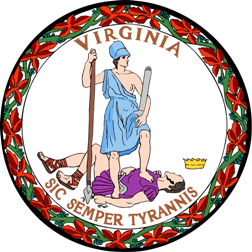 Virginia has hardly been on the vanguard in this area, fielding its first nominee to the office just over 30 years ago when Republican Flo Traywick finally broke through with a nomination in 1986’s 6th CD race. Traywick, who represented the state for years on the RNC, was easily defeated by two-term Democrat Jim Olin by 39.7 points that November. The fourth woman to be nominated in the state, however, was elected to the nation’s lower legislative chamber. In 1992, Democratic House of Delegates member Leslie Byrne won the state’s newly created 11th CD after reapportionment with a 4.8-point win over economics professor Henry Butler. Byrne would lose her reelection bid during the Republican Revolution of 1994 to Fairfax County board of supervisors member Tom Davis by 7.6 points. Dating back to Byrne’s 1992 bid, at least one woman has been nominated by a major party for a Virginia U.S. House seat in 14 consecutive cycles. The 2018 matchup between Jennifer Wexton and Barbara Comstock is the second U.S. House matchup between women major party nominees in state history. Comstock won the first such race when she was challenged as a freshman incumbent by Luann Bennett last cycle. Overall, women have been nominated 43 times to the office out of the 330 major party nominees fielded in Virginia general and special U.S. House elections since 1986 (13.0 percent). Democrats have nominated women 25 times with 18 by the GOP. Women nominees have been victorious in nine of the 36 elections heading into the 2018 cycle (25 percent) with incumbents winning five of seven races. Next: Will There Be a 5th DFL-Endorsed Gubernatorial Primary Loser in 2018? Be the first to comment on "7-Up: A Brief History of Virginia Women US House Nominees"